When in Tokyo, I like to try out different vegan or vegetarian restaurants in addition to my mainstays. Nagi Shokudo (なぎ食堂) isn’t located that far from Shibuya Station but far enough that the bustling noise that everybody associates Shibuya with sounds merely like a whistle. But that’s the way most of Tokyo is, once you leave the busy main streets. So I left the busy part of Shibuya behind walked up and down while being baked in the Summer sun – and missed the restaurant on my first try. Nagi Shokudo is not located at street level but a few steps below. There’s no big sign and the restaurant is partly obscured by a plant. Nagi Shokudo is supposed to be quite busy during lunch hour but I was lucky and the restaurant was empty when I arrived (but it was full when I left). The restaurant has a very laid back, casual atmosphere and they serve various Asian-style food depending on the day. Their lunch set was delicious with rice, soup and vegetables. A great place for lunch and highly recommended! For all its traditional temples and shrines, apartment buildings in Japan are usually rather plain and not built to last decades. The Nakagin Capsule Tower is different – it’s one of the few remaining examples of Japanese Metabolism, an architectural movement that depicted towers with plug-in capsules. The movement remained largely theoretical and even though the Nakagin Capsule Tower was built, it never reached its full potential. Architect Kisho Kurokawa’s building consists of two towers with 140 fabricated capsules. Each capsule was fitted with utilities before it was shipped to the tower and could be removed and replaced without affecting the other towers. This was akin to upgrading a software or a piece of hardware: Just swap it out for an updated unit and take advantage of better materials or utilities. Capsules were supposed to be mass produced, lowering the price of a new one. Unfortunately, it never happened. Bunnies! Of course you can get your fix of bunny-shaped cuteness in one of Tokyo’s bunny cafés, but the number one location for fans of the cute animals is a small island in Hiroshima Prefecture: Okunoshima. I went there this year as part of my Summer trip to Japan and while I was not chased by rabbits, there were many close encounters of the furry kind. I stayed in Onomichi and took the Sanyo Main Line to Mihara where I switched to the Kure line bound for Tadanoumi. The train sign depicts the ocean and a friendly rabbit waving at visitors. From there, it’s just a short walk to the ferry terminal. Chances are that there are other people going to Okunoshima. At the terminal, you can buy rabbit food. Note that you can’t buy rabbit food on the island and there’s also no convenience store on Okunoshima. First ferry leaves at 7:45, the last ferry heads back to Tadanoumi at 7pm. This is one of the big three festivals in the northern Tohoku region, the other two being the Aomori Nebuta Matsuri and the Akita Kanto Matsuri. They are all held around the same time (early August) too, so you can enjoy all three by taking a three-day holiday. Large and small floats (neputa) are carried and pulled through the streets of Hirosaki. The neputa are mostly fan-shaped with themes ranging from mythology, beautiful women and history. You can see the floats in daylight, but it’s the evening when they look the best as they are illuminated from within. Inakadate is a village in Aomori Prefecture and a population of 8000. Since 1993, the people of Inakadate began creating rice paddy art to promote tourism and revitalize the area. Over time, the artworks became more elaborate and for two months each year, Inakadate becomes a tourist hotspot in Aomori. Rice paddy art is created at two fields and this year’s topic were two famous Hollywood movies: Star Wars and Gone With The Wind. After a long time, I could finally make it to another movie meet-up, thus saving the latest Mission Impossible flic from its fate of being seen on the small screen. 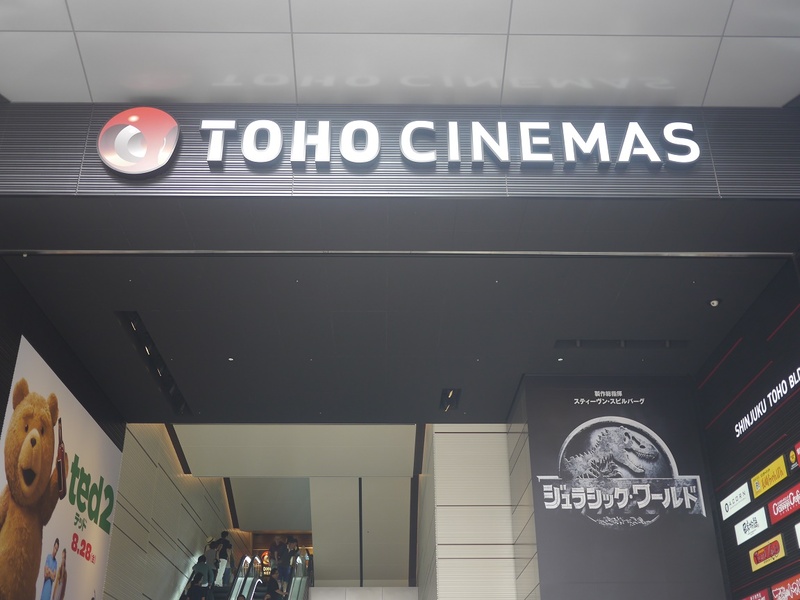 This was also the first time of me being to the new TOHO Cinema in Shinjuku. 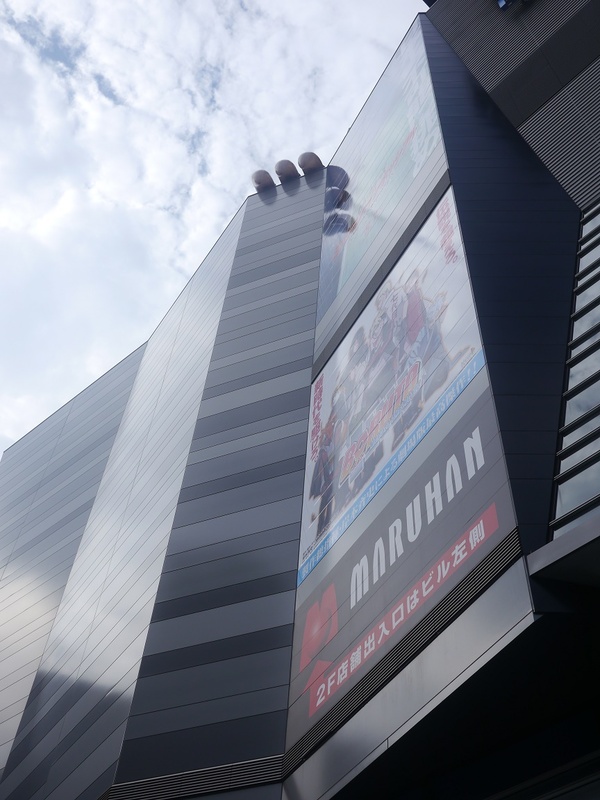 The new one is a proper multiplex cinema with big screens, IMAX and great sound systems and has become the prime location for the meet-up group – previously, a cinema in Kawasaki was used for IMAX screenings. Unlike with some other films, Japan didn’t have to wait several months to see the fifth installment in the Mission Impossible franchise. Rogue Nation is as good as the previous one with plenty of action and a good piece of humor, something that’s amiss from the current James Bond films. In that way, I like the MI movie more than the latest JB ones. The last movie I watched at the old TOHO was an obscure Korean movie shown with Japanese subtitles. The new one is of course all about the blockbusters and current Japanse films. Mission Impossible is obviously one of those films best enjoyed on the big screen. The best part about the new TOHO – besides the upgraded tech – is the building: There is a big Godzilla on top of the building, threatening to eat Tom Cruise. Eight years ago me and my friends were having a little late night competition trying to get the best angles to make the little Godzilla statue look more threatening. Well now Tokyo has finally the Godzilla statues it deserves and needs right now! If you have never been to a Japanese movie theatre before: Foreign films are usually not dubbed except for kid’s movies. A while ago, I posted about the 007 Museum in Naoshima. Of course it’s not the only tourist attraction on the island and it’s not even close to be the most popular one. Naoshima is known as the “art island” and has several art museums with exhibits by various well-known artists. The island is also well prepared for tourists with a shuttle bus connecting the various art sites and the port. First, I bought a ticket for the Chichu Art Museum. There is a reserved ticket system in place for that particular museum during peak times when lots of visitors are expected. Outside those times, you may buy a ticket on the day by getting a waiting number. The time when you are able to buy the actual ticket is printed on the ticket. In my case, I had lots of time going to the other museums. Opened in 1992, Benesse House Museum is a facility consisting of four buildings, integrating a museum and a hotel. Some exhibits where created specifically for this museum and thus can only be seen in Naoshima. Tadao Ando is the architect of both the Benesse House and Chichu Art Museum. While I enjoyed the works inside the museum, I did like the works of art outside around the museums premises and Naoshima’s shore more. Here you can find Niki de Saint Phalle’s colorful sculptures. In order to become fluent in Japanese and reach the level of a native speaker, you have to leave the textbook behind at some point. The school I went to (Naganuma) handed out copies of newspaper articles at the advanced level. Another great resource is Aozora (blue sky), a free online library similar to Project Gutenberg. Aozora was founded in 1997 and archives books for which the copyright has expired under current Japanese law or were released by the copyright holder into public domain. Some works may disappear in the next few years if the U.S. can force Japan into “harmonizing” their copyright law and extend the length of copyright to protect the interests of big publishers. Some classic works still sell well after all. Project Gutenberg and other online archives are facing a similar threat as copyright term extensions are in discussion for other trade agreements too. Tokyo German Village is a park in Chiba, located about two hours from central Tokyo. The park offers facilities for families, flower events, a souvenir shop and German food. It’s not an educational place meant to teach you German – in many ways it’s very much a Japanese park. Winter is time for the illumination festival when the whole park turns into an LED wonderland. Illumination festivals at parks like Tokyo German Village (Tokyo Doitsu Mura 東京ドイツ村) are usually more impressive than the festivals in central Tokyo. The festival lights and motives also change every year, encouraging people to visit the park at least once a year. Trains in Japan are excellent but pricy, especially long distance ones. If you are lucky enough to stay in the country for more than one month, travelling by bus is the cheapest option to explore the country. Also, as fewer overnight train services are offered, buses become the only way to travel at night (unless you have a rental car, of course). I used both trains and busses during a three-month trip to Japan, visiting three great festivals in Northern Tohoku (Aomori Neputa Matsuri, Hirosaki Neputa Matsuri, Akita Kanto Matsuri) and the cities Osaka and Takayama. For Tohoku and Osaka, I used the Japan Bus Pass by highway bus company Willer Express. The Bus Pass is Willer’s equivalent to the Japan Rail Pass but is more flexible. You can travel either three or five days of your choice within two months from purchase. It’s exclusive to short term tourists of Japan i.e. if you are a resident of Japan, you can not buy the pass. Reservations have to be made beforehand and if you plan to do a round trip on the same day, one of the buses has to be a daytime bus. You can cancel a reservation up until a day before and make a new one.